After your enjoyable site seeing ride on the Bridlington pirate ship a good place to start for other attractions seems like the harbour. Only one hundred meters away from the pirate ship office, down the harbour road you will find the harbour museum. Take time for a good look around, admission is very cheap and it is full of interesting historical information about Bridlington harbour and the fishing industry's. If its the fishing industry you interested in or maybe just want to see some of the boats catch, feel free to walk around on to the south pier where you can easily watch the commercial boats coming in, along with the large tanks they use to store the sea life in on the pier. Bridlington bayle gate museum is situated inside the gatehouse of the former monastery, (1388) if you do get chance to look around the museum there is a wonderful collection of dolls and other artifacts relating to Bridlington's history. 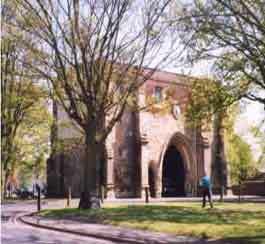 The Bayle Gate museum founded in 1928 is today a grade 1 building and well worth a visit. Here you can take a trip to the past with old photographs paper mache statues and see what the tourist industry in Bridlington was like in the 1950's and onwards. It has many features relating back to the early tourist industry in Bridlington including a fascinating exhibition of old seaside slot machines. 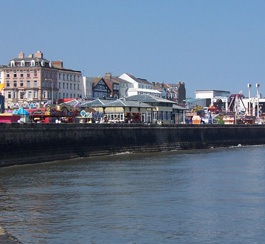 Bridlington Spa is one of Bridlington's most famous attractions, holding entertainment for all from pop concerts to dance productions, presented by some of Bridlington's local dance schools. Currently under regeneration work and due to be finished for summer 2008 you can rest assured there will be some great concerts coming up. 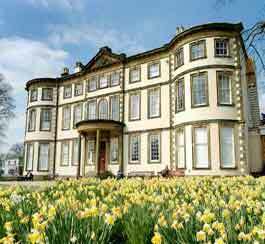 Sewerby Hall is well worth a day out with activities for all the family weather you want a tour around the hall to learn about all this historic facts or maybe just to have a picnic in the beautiful grounds while the kids play in the park. Also make sure to take a look around the wildlife zoo to see all the fascinating animals, yes they do have penguins in Bridlington. Check availability and book accommodation in Bridlington instantly online at EverythingBridlington.com We list accommodation, places to eat, local attractions, surrounding areas, photo gallery, interactive maps and much more. Your complete Bridlington resource site.